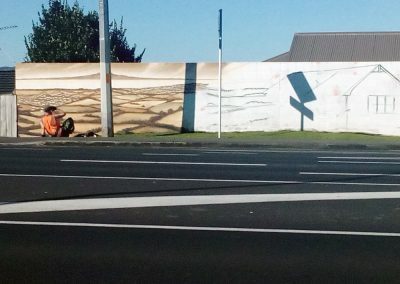 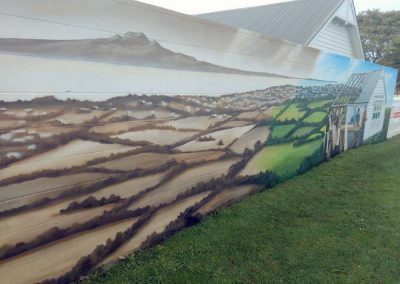 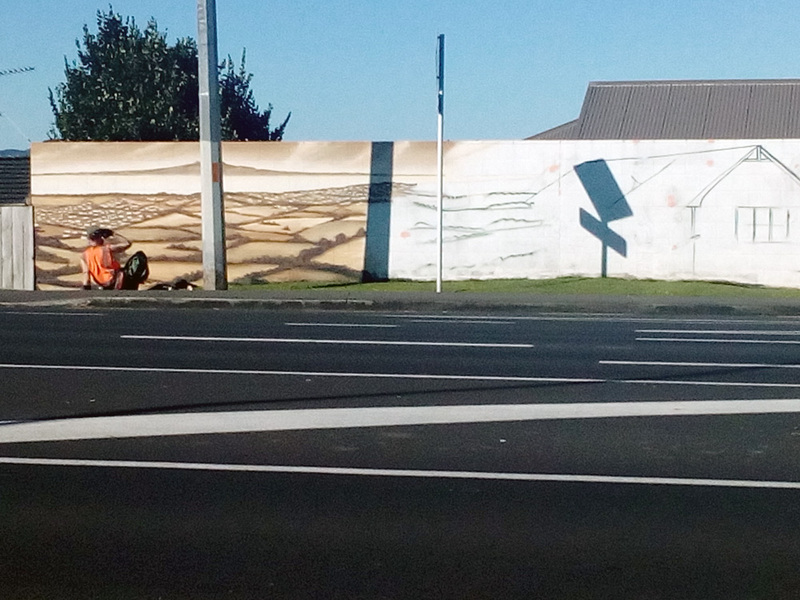 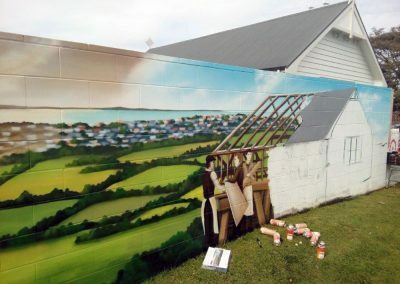 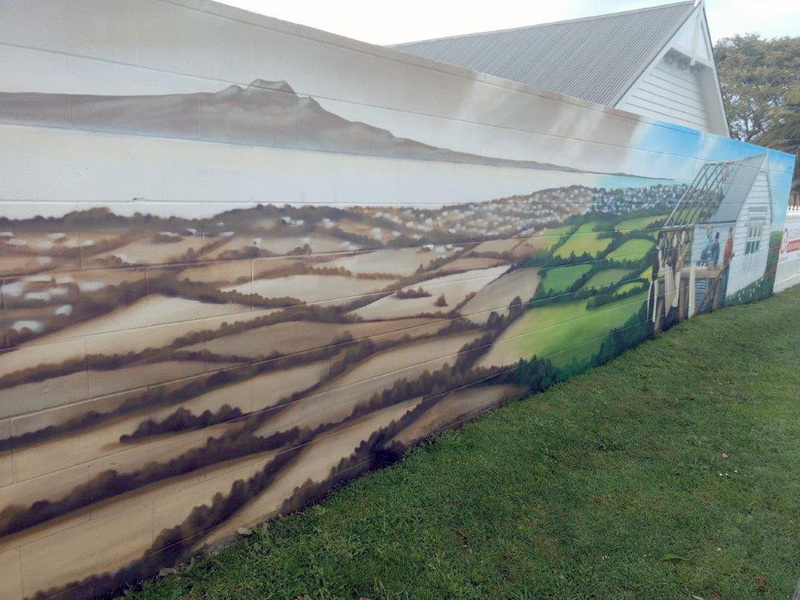 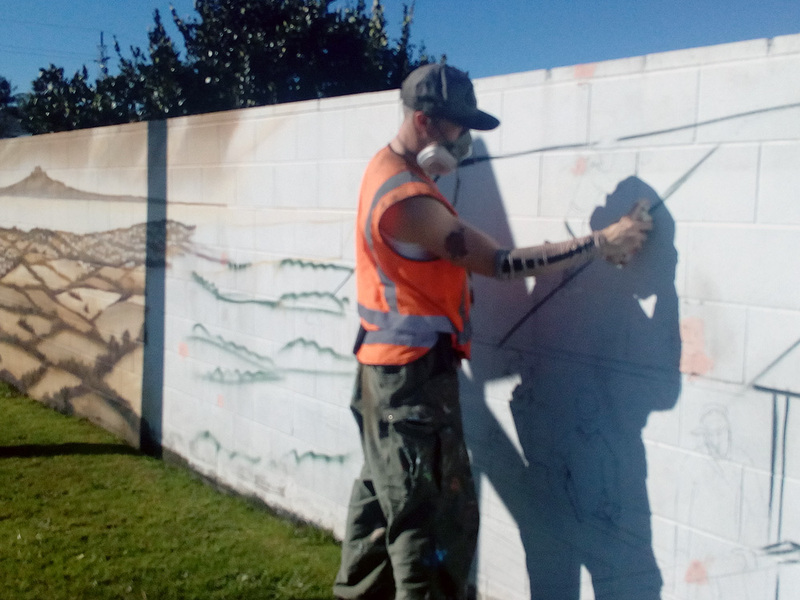 In August 2018, the Centre commissioned Auckland graffiti artist Jonny “4Higher” Wignall to paint a mural on the cinderblock wall on the Glenfield Road boundary. 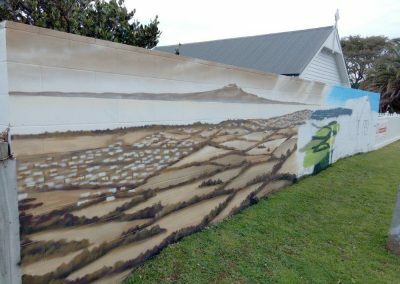 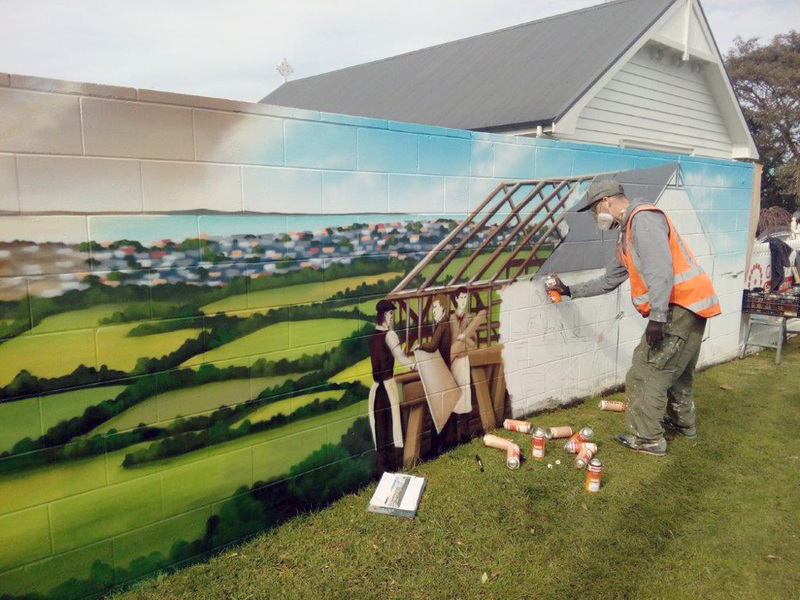 The mural depicts early Glenfield (circa 1915) transitioning to show our historic Mission Hall (“Built in a day”) as though it was being erected by the Glenfield Community today and forms the last part of our WW1 Centennial Commemorations. 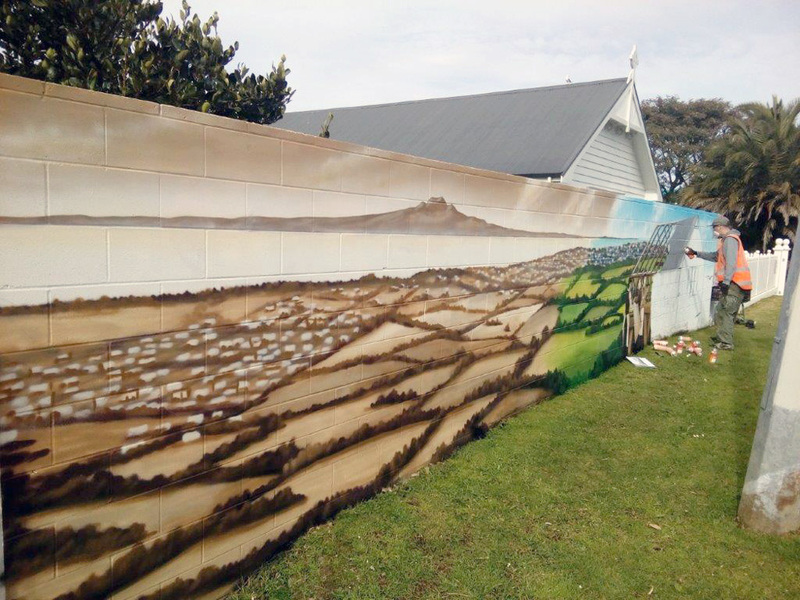 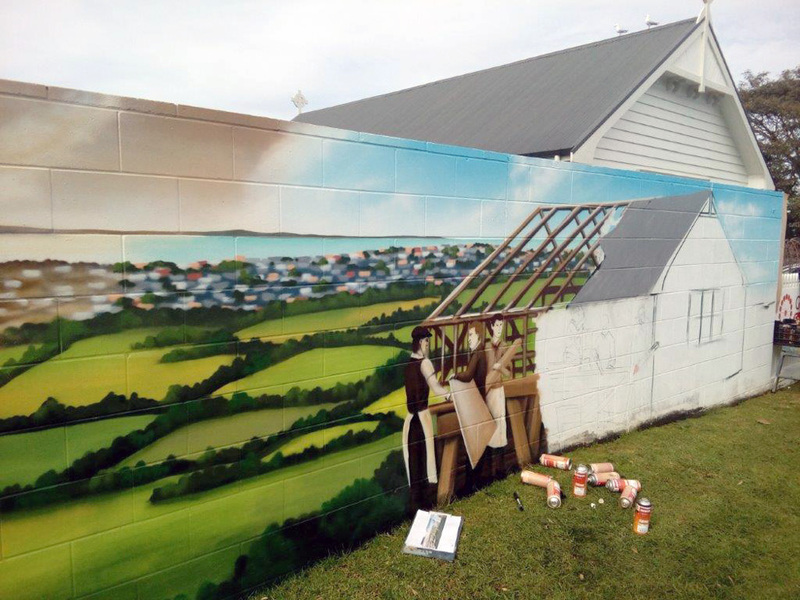 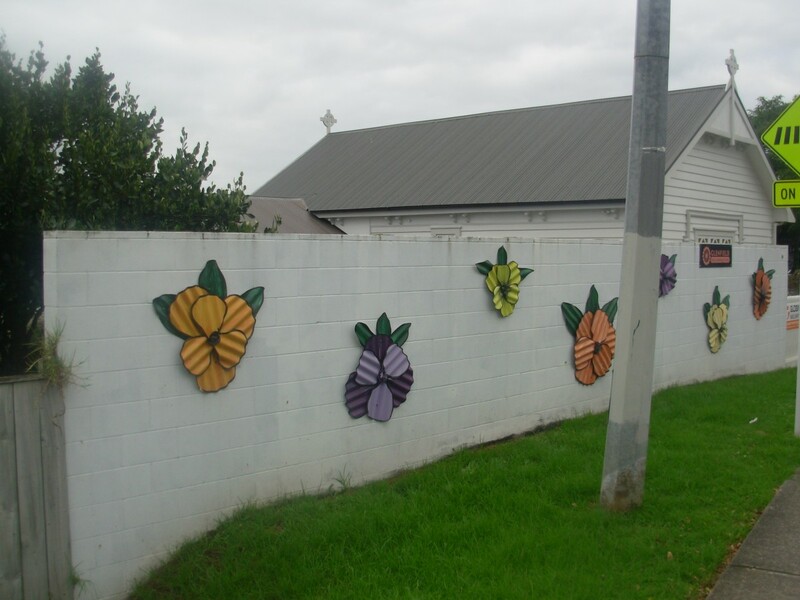 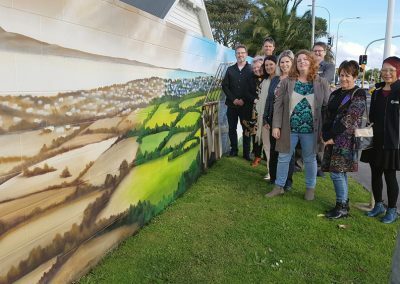 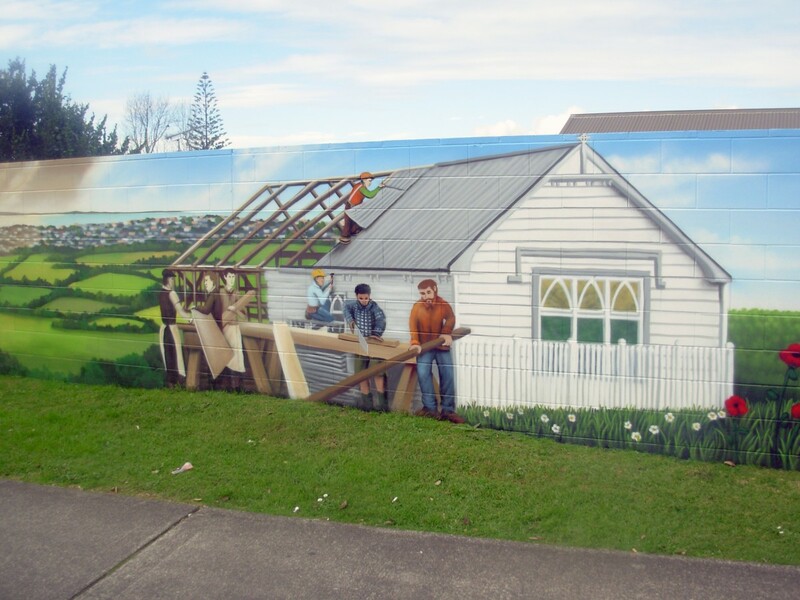 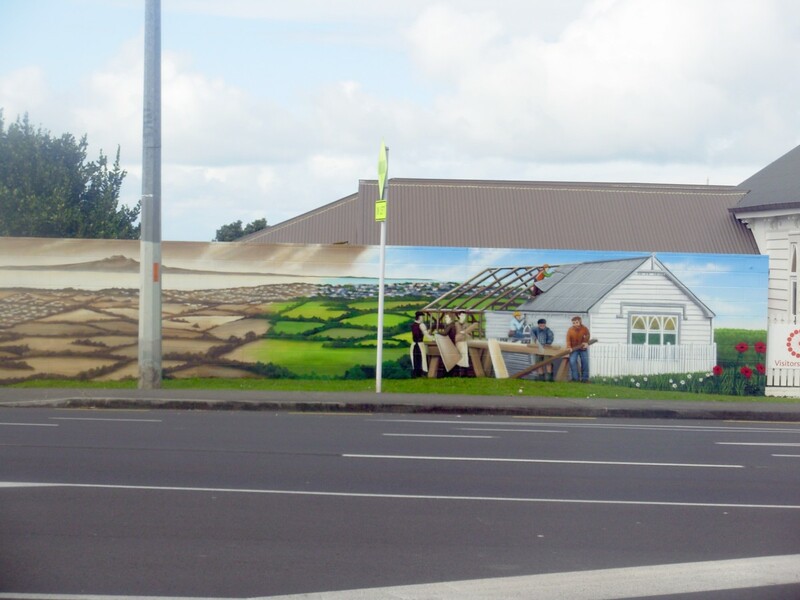 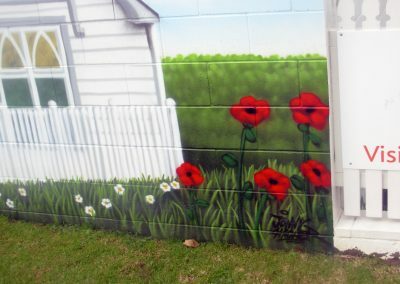 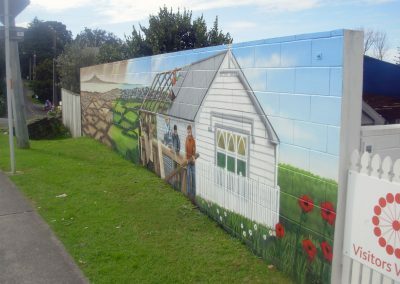 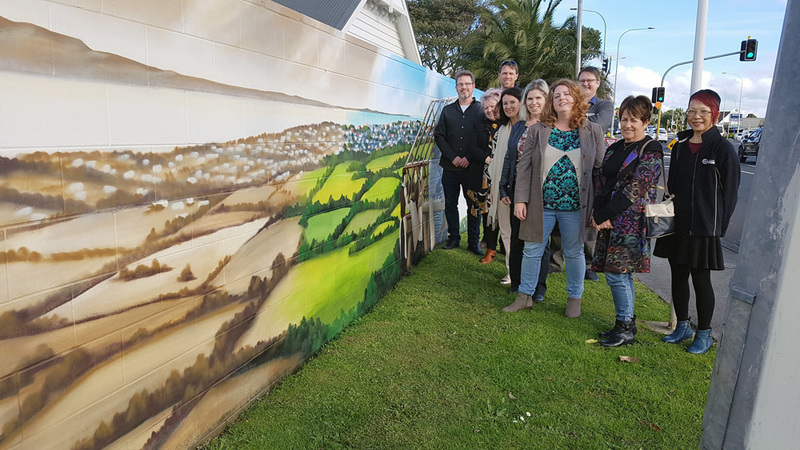 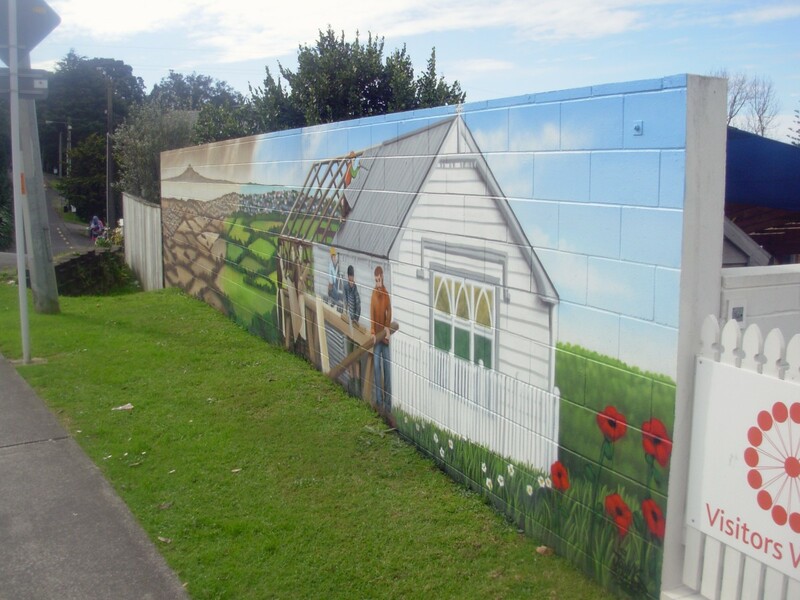 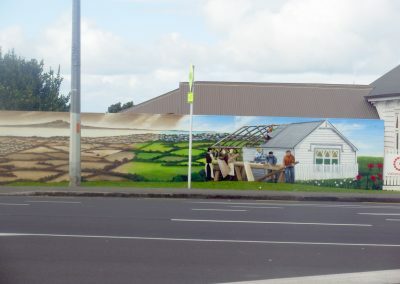 Funding for this project was granted by the Kaipātiki Local Board and the mural was painted over the course of two days. 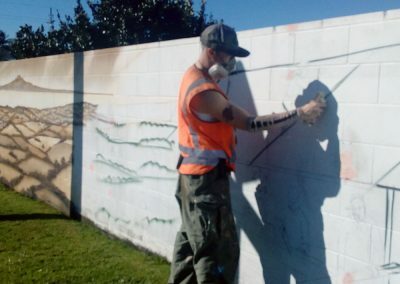 You can view a gallery of images showing the work in progress and complete below.